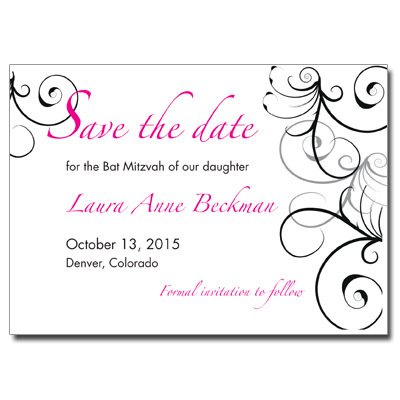 This stylish Bat Mitzvah save the date card features floral designs to put a fun, fancy spin on your Bat Mitzvah. 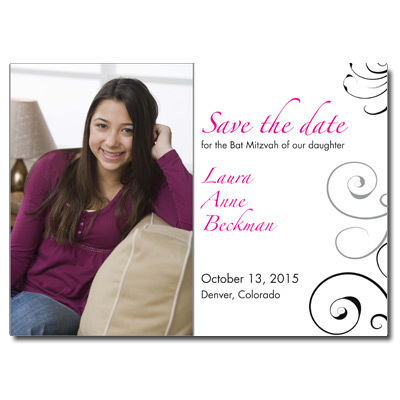 Card measures 3.5x5. Comes with round stick-on magnets.